Dean and Cauvin is one of Scotland’s oldest Child Care charities, having been founded in 1733 by Andrew Gairdner, a merchant in Edinburgh, and Treasurer of the Trinity Hospital. Mr Gairdner was concerned about the number of orphaned destitute children in Edinburgh and formed a fund to erect an Orphan Institution, raising over a thousand pounds, which was a considerable sum of money in the early part of the 18th century. The list of original Governors appointed in 1733 reads like a “Who’s Who”, including as it does the likes of the Lord President of the Court of Session, the Lord Advocate for Scotland, the Keeper of his Majesty’s Signet, the Solicitor General for Scotland, the Lord Provost, and the Principal of Edinburgh University. Its very first property was a house in Baillie Fifes Close in what we now refer to as the Old Town, though at that time, of course, the New Town had yet to be built. At a rent of £12 a year and containing furniture worth £15, it opened its doors to thirty orphans in September 1733 with a Mr George Brown as its first master. To provide training opportunities for the young people in their care, Mr Gairdner purchased part of Pauls Work (pictured above), a former religious house, and converted it into woollen and linen manufacturing. He continued his efforts in raising funds, which enabled a new building to be erected, designed by the foremost architect at that time, William Adam. It provided purpose built hospital accommodation in 1735 capable of housing increasing numbers of abandoned children. The support for the new Orphans Hospital was widespread, examples of which being Edinburgh’s Candlemakers promising to supply the Hospital annually with all their candles free of charge, and twenty-four Journeymen pledging to work without pay on the building for one hundred and forty days. In 1739 when Mr Gairdner died there were seventy-four young people being cared for and educated in the Orphanage. The original records from this time are still kept by Dean and Cauvin Trust today which reveal the names and occupations of many of the donors from those early years made up of some of the most honourable and respectable members of the community. 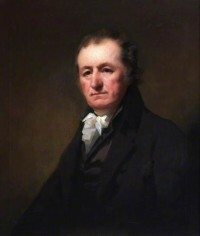 Robert Scott Moncrieff was a senior figure in the early days of the Royal Bank of Scotland who played a prominent role around 1774 in upgrading and extending the Orphan Hospital building and its facilities. In 1781 the spire was built and wings to the East and West were added soon afterward. He was ably assisted by the treasurer at that period, Thomas Todd. Such was his commitment to the orphanage that when Thomas Todd passed away, in accordance with his wishes, his remains were placed in the same graveyard as the orphans he worked so hard to look after. “In 1736 Richard Douglas at the age of eight was admitted after losing both his parents. Three years later he left after being offered work with an uncle abroad in Cadiz. 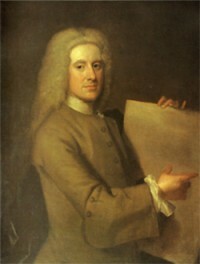 This didn’t work out however and he was re-admitted in 1742 and completed his education there. In 1812 a wash house and laundry, a large schoolroom, and apartments for the sick were constructed. However, in spite of the many physical improvements to the actual buildings, other factors conspired to necessitate a move to new premises on the other side of the City. When the original building was constructed the surrounding area was very much rural, but pressure on space grew with a rising population and increasing industrialisation in Edinburgh. Despite opposition from the Managers, a slaughterhouse was built alongside the orphanage, and boilers of tar and oil were just some of the business that operated to the detriment of the Orphanage and to the health of the young people. On one occasion 42 out of the 54 young people resident suffered from Fever. In 1799 the Managers hired a house in Leith to get advantages of better air. However, this was no long-term solution to the situation and in the space of eleven months in 1828 ten deaths occurred with opinion being that the position of the house was one of the major contributing factors in this tragedy. The managers obtained land in the village of Dean in the opinion that its elevated position was far enough away from the City to prevent a repeat of the situation. The services of the architect Thomas Hamilton were procured and this drawing shows the Dean Orphanage in Edinburgh before its construction from 1831 to 1833. Hamilton was the architect for the project and an accomplished watercolourist, who may have intended this drawing as a model for an engineer. Built of local Craigleith stone, the building is a mix of neo-classical and baroque features. 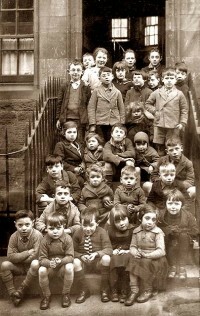 The children attended the local Dean Village school which is pictured in the 1930s and also had opportunities for instruction within the Orphanage itself, as can be seen from the photograph of its Sewing Room. The new location proved to be a much healthier location as predicted but for those children who did become unwell it had its own Sick Room.